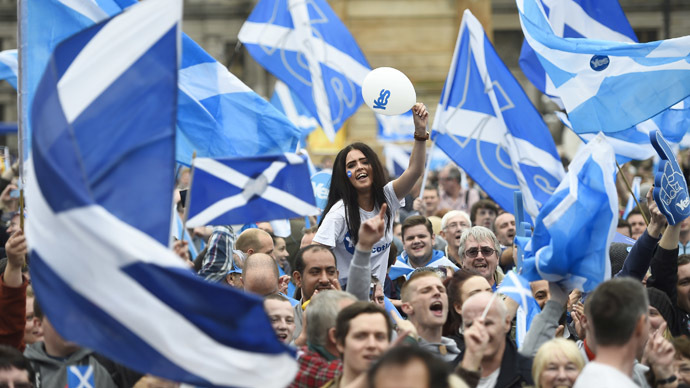 Thousands of pro-independence activists, determined to continue their fight for Scottish statehood, have launched a new campaign called ‘the 45 percent’, despite losing Thursday’s referendum. 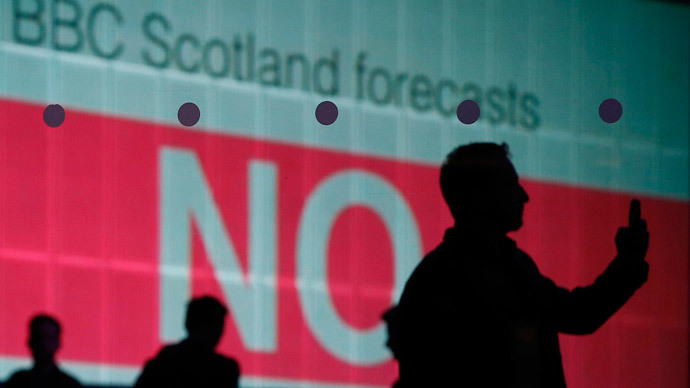 The campaign draws its name from the 44.7 percent of the Scottish electorate who voted ‘Yes’ to independence. Although the ‘No’ campaign secured a narrow majority at 55.3 percent, the appetite for a split remains strong. 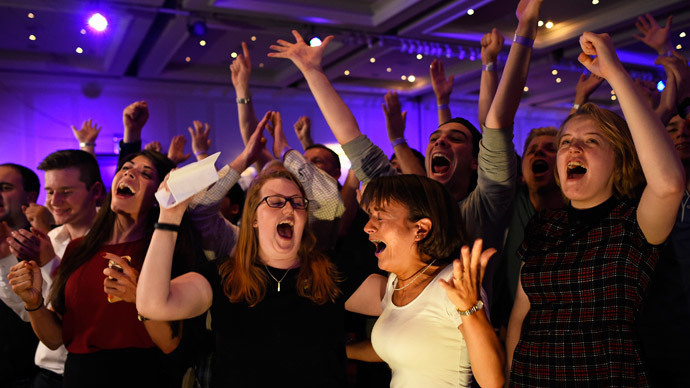 While it ultimately failed to win the referendum, the ‘Yes’ movement vastly outperformed pro-union activists in its employment of social media. The 45 percent want to sustain the momentum of this grassroots online movement. Several Facebook pages have rapidly accrued thousands of likes, while #the45 and #wearethe45 are trending on Twitter. A 45 ‘Twibbon’ has replaced the blue ‘Yes’ sticker prominent on supporters’ accounts throughout the campaign. Still at a disparate and formative stage, with multiple parties and grassroots organizations in its orbit, the 45 percent movement has coalesced around the shared cause of keeping independence on the agenda. I hope to see SNP, Greens & SSP all working under a "#the45" banner in the future. This can be the beginning of a new Scotland. “The British establishment would love nothing more than for the 45 percent to disappear,” reads one page. Initially appealing for crowd funding in order to launch and support food banks, and to create campaign merchandise, the page calls for ideas and input from its supporters, reflecting its grassroots character. “This idea is a work in progress and will be of course open to suggestions,” it reads. Organizers have procured the45percent.org domain name and @Scotlands45 Twitter handle. A key figure in the grassroots campaign for independence is former MSP Tommy Sheridan, whose speaking tour, ‘Hope Over Fear’, visited dozens of meetings in the run up to the referendum. As a prominent socialist voice in Scotland, Sheridan has sought to pave a way forward for the movement. “Over the last couple of days I have been inundated with thousands of Facebook and Twitter messages from disappointed ‘Yes’ supporters looking for a way forward,” Sheridan told his Facebook followers. Sheridan urged ‘Yes’ supporters to back candidates in local and national elections who support independence and called for another referendum in March 2020. 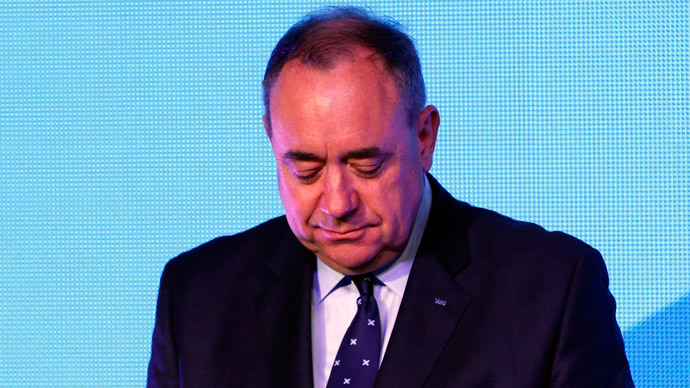 He said the Scottish National Party (SNP) were the most likely candidates to deliver on this. “Let's punish the reactionary and dishonest ‘No’ parties at the ballot box next May,” said Sheridan. “Let's punish the shameful Labour Party in particular for siding with the bankers, bosses, billionaires and millionaires to try and crush our dream of a new and better Scotland with an avalanche of fear and lies. “We have youth, energy and hope on our side. Hope can triumph over Fear in 2020,” he added. Supporters of the 45 percent have been accused of issuing abusive comments against supporters of the union and of anti-English sentiment. Others have said the group should disband and accept the outcome of the referendum. Instead of going on abt #the45 more imp to understand motivations of #the55. And emphasise we are #onescotland & #the100. 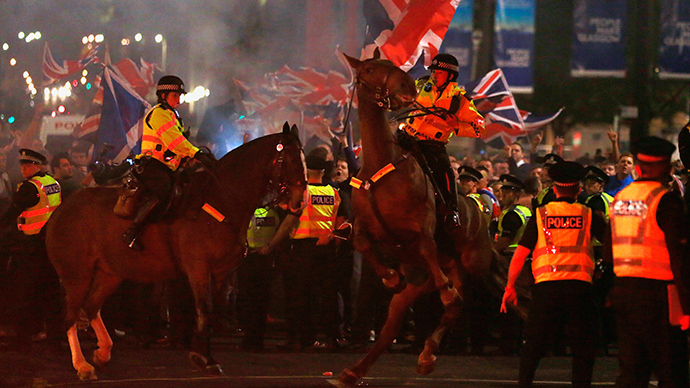 Differentiating itself from the clashes in Glasgow’s George Square on Friday night, in which 11 were arrested, the 45 percent called on its supporters to avoid getting involved. The group was present on a demonstration through Dundee on Sunday, and has plans for another on September 27 through Dumbarton. “Although we have to accept the vote this time, this march is to let people know change is coming, Scotland and the UK will never be the same again,” the Facebook event reads. Meanwhile, Prime Minister David Cameron is hosting a summit of senior Conservative MPs at his official residence to discuss plans for further Scottish devolution, without giving Scottish MPs unfair influence over English law. As part of a settlement to keep Scotland in the union, Cameron has pledged a raft of new powers for the Scottish parliament. In the process, he has clashed with members of his own party, who feel England would suffer a democratic deficit as a result. Downing Street says more powers will be handed to Scotland’s Holyrood parliament regardless of whether there is an agreement over so-called ‘English votes for English laws’. The launch of an English parliament is among the suggestions for solving the imbalance, as is the pursuit of a more federal system in the UK. Cameron will also have to consider demands from the Welsh Assembly for greater regional autonomy.